Thursday, May 2, 1912: Exams began today. I am rather doubtful about what I made in Algebra. Sounds like the Algebra exam was tough. When my children were young, I used to bake cookies to cheer them up when they got home after a rough day at school. I now receive emails from the university my daughter attends asking if I want to buy a care package that will be delivered to her during finals week. Did Grandma’s mother have warm, fresh-baked cookies when Grandma arrived home from school to show she cared? Here’s a recipe for Ginger Snaps that appeared in the April 1912 issue of Ladies Home Journal. I used approximately 2 cups of flour. I rolled the dough out until it was thin and then baked in a 400 degree oven for about 8 minutes. 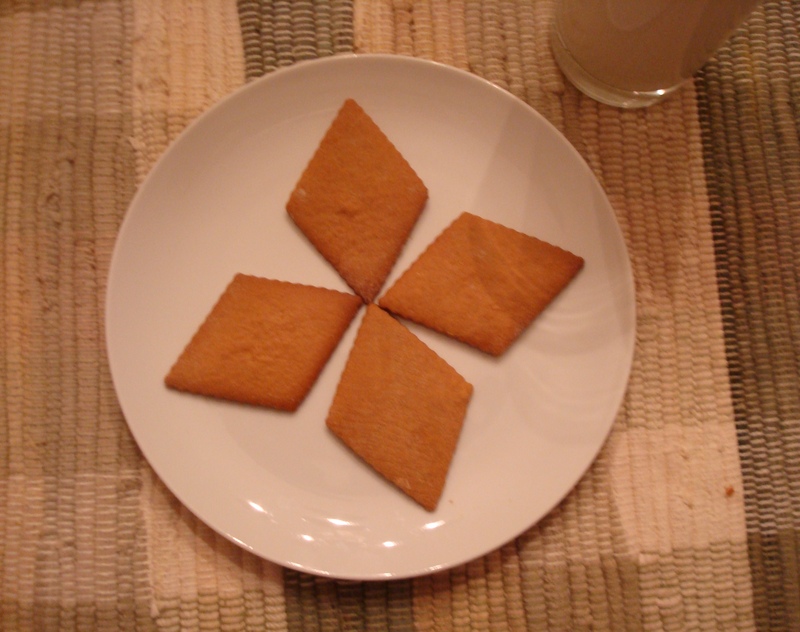 The ginger snaps were excellent and perfect with a glass of milk. An aside—I love how old recipes call for a teaspoonful of this and a cupful of that instead of just using the terms teaspoon and cup. It’s so much more descriptive. Posted on May 2, 2012 August 30, 2015 by SherylPosted in Food, recipesTagged cookies. Next Next post: Exams Are Over!!! It’s funny how the mixing and cooking directions were very sparse years ago–yet the measurements are more descriptive. I feel the urge to bake and eat ginger snaps… imagine that! The recipe has a conversational feel, as if Grandma was in the kitchen with you helping. Such a warm fuzzy feel. Old recipes are so much fun. It does seem like the recipe authors are just giving helpful tips to a friend or family member. Sometimes they’re hard to interpret–electric/gas stoves vs. wood/coal stoves, etc. but it is always a fun adventure to make them. And, the ginger snaps turned out particularly well.